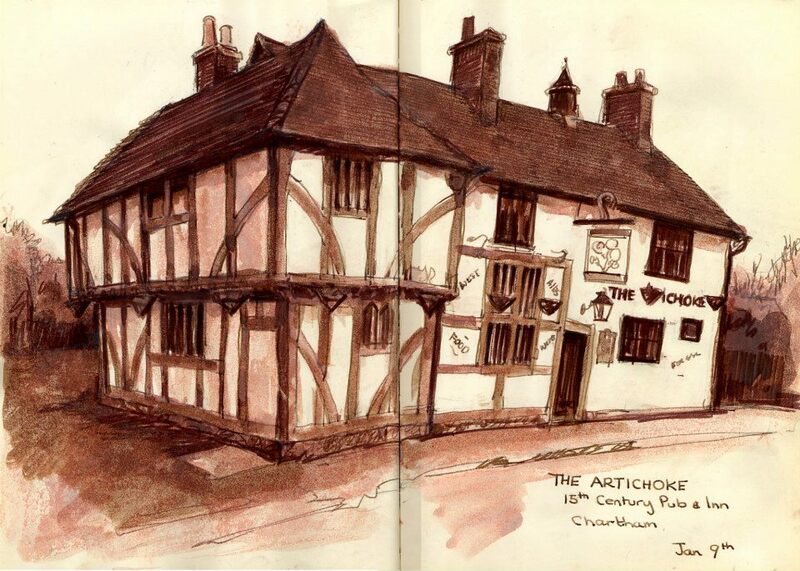 The Artichoke is my favorite of the pubs where my parents live. This 15th century Inn has three working fireplaces and even an old well that is inside the building, but the best part is there is no television. How is that for progress?